How many guns does one man need to shoot prairie dogs? Well, at least three, one for up close, one for mid-range and one for way out there. Always experimenting, I settled on a three-gun battery that made the most sense to me. 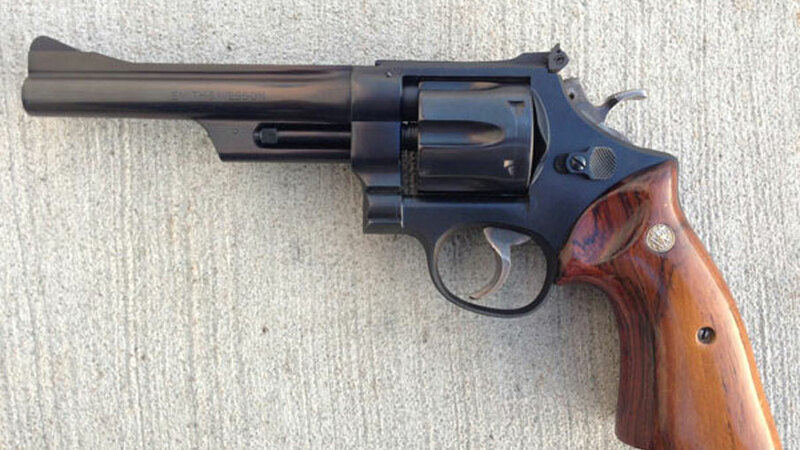 My short-range gun, out to 50 yards, was a Smith & Wesson Model 28, 357 Magnum, with a 6” barrel. Full-house 125 grain JHP hand loads were my favorite and typically I would shoot 150-200 rounds per trip. Earlier, I tried a S&W M-19 with 4” barrel, but it just wasn’t heavy enough to enjoy shooting 357 Magnums through. Mid-range was everything out of reach of the Smith 28, but not far enough out to require a scoped rifle. If the sun was shining and the wind quiet, the dogs would stand up and I could see them well enough to shoot with iron sights out to about 125 yards. For this shooting, I preferred a Remington #1-1/2 Rolling Block Sporting Rifle in 32/20 Winchester. A folding tang rear sight and Beech front, provided for the finest sight picture. I’ve also used a Winchester low wall and a Winchester Model 92, in the same caliber, for mid-range work; but the Rolling Block is easier and more efficient to operate, as you simply roll back the hammer, then the breech block to extract the empty case and load a fresh round. The low wall and 92 require a second hand to operate the under lever. Whether walking & stalking, sitting at the bench or shooting off the truck door, this little rifle was always a joy to shoot and very accurate with Hornady 90 grain XTP bullets. The third gun in my battery, and always the last one put into action, was a Remington Model 7 in 221 Fireball, with a Leupold 6-1/2 x 18 side-focus scope and a 40-X trigger. I have shot dogs with this gun out to four hundred yards on a calm day when the sun was shining; but have used it at 75 yards, shooting heads, on overcast days -- with the wind blowing at gale force. I have also fired lots of 222 Remington, 223 Remington, 223 Ackley Improved and 22-250, always in Remington actions; but settled on the 221 Fireball. This three-gun battery served me well, and on my next trip, these will be the guns I take along.